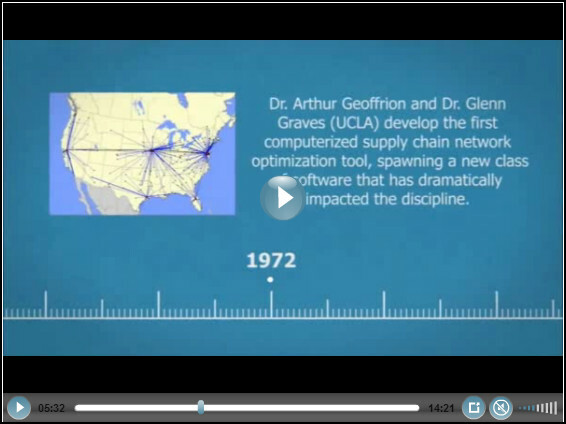 At CSCMP’s annual conference in Denver, CSCMP and Supply Chain Digest put together a video timeline of the history of supply chain management. (The video starts around the 4:00 minute mark of this telecast). The timeline includes major supply chain management innovations or key milestones. Some of these include the first use of bar codes, the first MRP install, Toyota teaching its suppliers its Lean system, and the founding of FedEx and Walmart.